In a merciless summer of biblical heat and destructive winds, Gabrielle Fox's main concern is a personal one: to rebuild her career as a psychologist after a shattering car accident. But when she is assigned Bethany Krall, one of the most dangerous teenagers in the country, she begins to fear she has made a terrible mistake. Raised on a diet of evangelistic hellfire, Bethany is violent, delusional, cruelly intuitive and insistent that she can foresee natural disasters - a claim which Gabrielle interprets as a symptom of doomsday delusion. But when catastrophes begin to occur on the very dates Bethany has predicted, and a brilliant, gentle physicist enters the equation, the apocalyptic puzzle intensifies and the stakes multiply. Is the self-proclaimed Nostradamus of the psych ward the ultimate manipulator, or could she be the harbinger of imminent global cataclysm on a scale never seen before? And what can love mean in 'interesting times'? 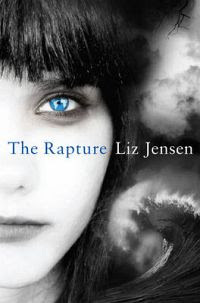 A haunting story of human passion and burning faith set against an adventure of tectonic proportions, The Rapture is an electrifying psychological thriller that explores the dark extremes of mankind's self-destruction in a world on the brink. Hmmm. I dunno about this one. It didn't really come together for me in the end. I'm not really sure exactly what the book was supposed to be about in the end either. It's got some interesting characters and some nice descriptions but I still wouldn't recommend it.